Adaptive implements both off the shelf and custom conveyance solutions. Having implemented servo driven indexing conveyors, powered roller conveyors, belt over slider & belt over roller conveyors, powered corner conveyors, pallet conveyors, rotary table conveyors, sorting and merge conveyors, and so much more, Adaptive is your choice for all things material handling. 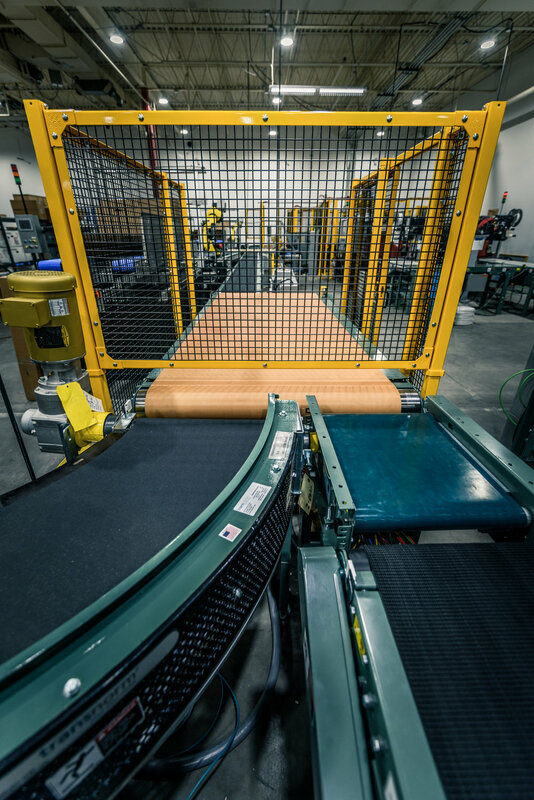 Combine our conveyor experience with our robotic and gantry experience, and Adaptive is your one stop shop to solve all your material handling needs. More and more processes and packaging systems are requiring handling of multiple SKU numbers simultaneously. 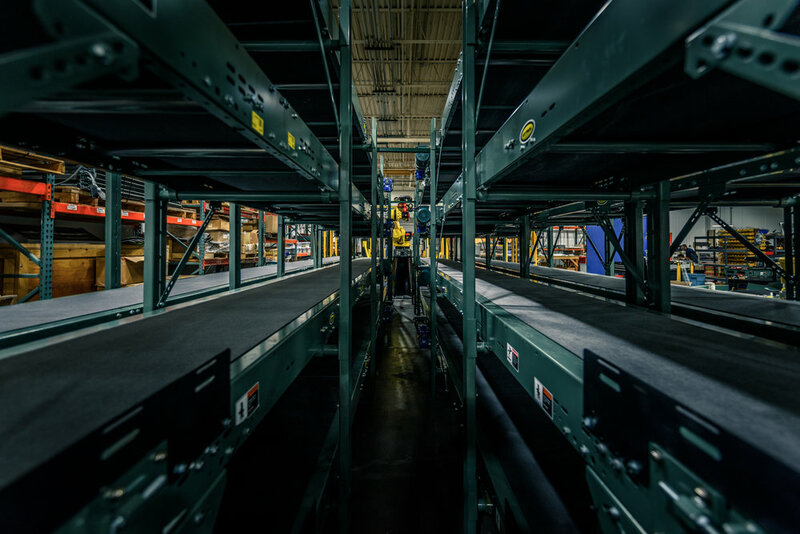 A creative approach to SKU handling, grouping, and sorting can make large differences in equipment costs, space utilization, and system capacity. Adaptive has delivered some very creative solutions to SKU sorting and grouping, developed and delivered some extensive traffic management systems, and welcomes the opportunity to review your requirements. Automated part orienting and feeding is an essential part of nearly every automation system. 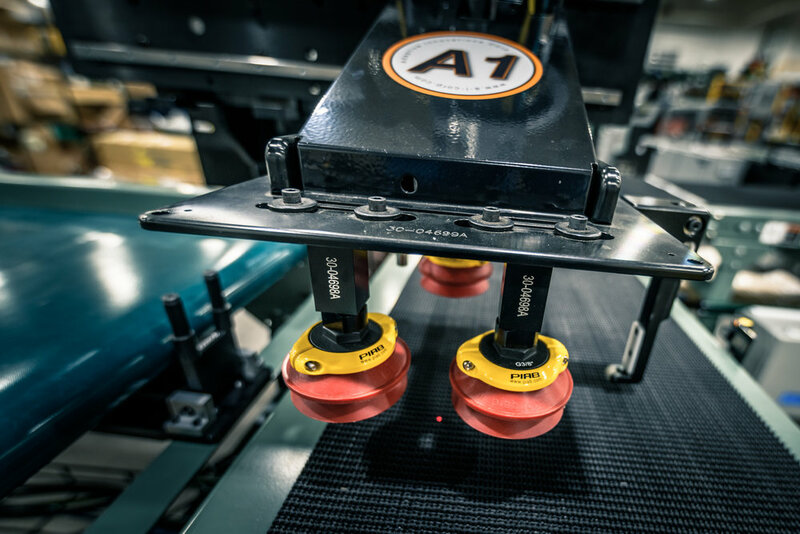 Required for automated assembly, packaging, inspection & test, machine tending, palletizing, and more, successful part feeding is one of the most important attributes among effective automation systems. There are many different technologies used in part feeding, including vibratory & centrifugal bowl feeders, flex feeders, custom part feeding systems and magazines, and many more. Selecting the correct equipment is only the first step towards success in this important utility. Achieving high reliability in part feeding requires advanced process knowledge, exceptional tooling design, and long-term experience. In many cases, making the smallest adjustments can make the difference between successful & unsuccessful part feeding. Don’t leave your automation to chance, rather partner with Adaptive and insure your automation success. Pick and place system are just that. They consist of equipment simply tasked with moving components from one location to another. Choices for this type of equipment include 6-axis arms, 4-axis arms, Cartesian robots, walking bars, and more. In some cases, this type of equipment is integrated with vision guidance to locate, orient, and pick components, such as with a flex-feeder. In other cases, this equipment communicates with encoders and vision guidance to achieve real-time picking from a moving conveyor. Partnering with the correct systems integrator makes even some of the most challenging processes a reality. Machine vision is one of the fastest areas of evolution in sensor technology. Utilizing advancements in camera hardware, image analysis algorithms, deep learning software, and more, what once was considered impossible is now within reach. What is now within reach will soon be old technology. Keeping up with the rapid evolution of these technologies can be an overwhelming and time consuming task. The importance of connecting with the right industry partner in order to stay ahead of your competition is becoming more critical every day. 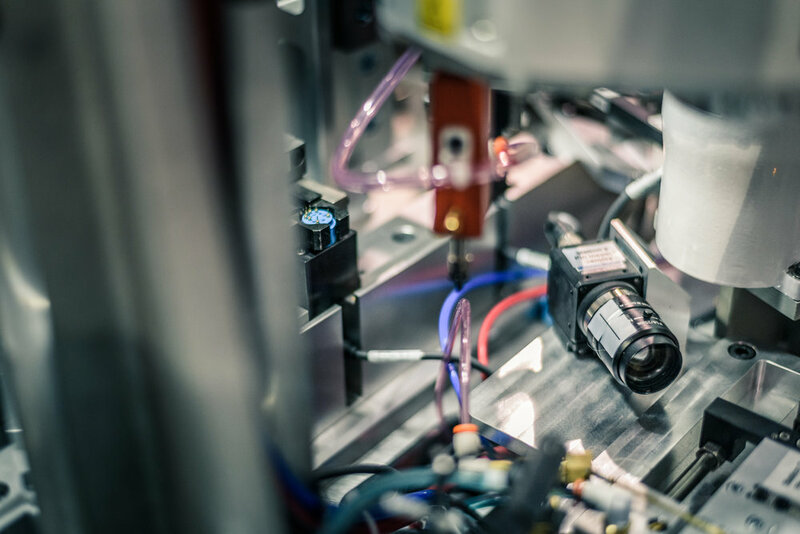 Adaptive routinely applies the most advanced vision technologies for component identification, component inspection, robotic guidance, and many other applications. Our engineers are empowered with a knowledge base that spans many vision brands and countless applications. Employ Adaptive’s knowledge and experience to maintain your competitive edge. Vision guidance is the utilization of machine vision to capture and provide data to robotic hardware or a machine controller. The robot or controller then make process adjustments based on the data received from the vision system. This is a very powerful tool, that greatly enhances the capabilities of robotics and machines and allows them to be much more flexible in handling varying product. Vision guidance can be used to locate key features on a part (geometric recognition), facilitating pick orientation, pick location, part identification, part alignment, and more. In many cases, this highly flexible process replaces the need for expensive hard tooling, allowing manufacturers to build a wider range of product on a common system. Nearly every automated system Adaptive builds employs vision guidance. Rely on Adaptive to take chance out of your investment.